A very fine history teacher told me once that he would impart to his class the means to measure the future – by sleuthing the patterns to be found in the fabric of history. In my own way, through writing (and not too off from my former life as a professor), I have become another weaver. But what do science fiction and fantasy writings have to offer? Not just escape: we writers uncover the invisible threads running beneath the surface of the world. 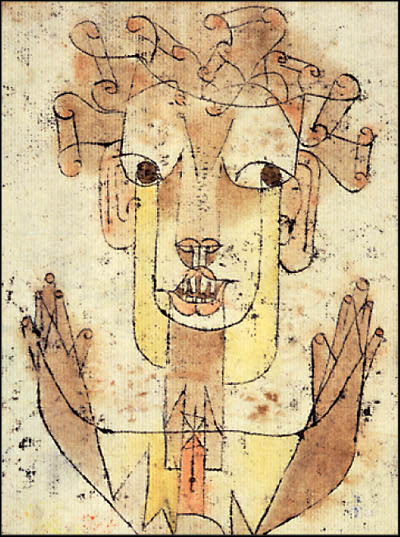 Our universes are made from snatches of what the great Walter Benjamin has called the ‘angel of history,’ that amorphous being that smashes us with all the violence of our culture, while versions of ‘true’ reality line our creations like that of a winter coat. These worlds are necessary lessons. Personally, I have always learned best from stories. Stories teach me what is true where it counts most: my gut, my heart. A fantastical world gives me room to spread large my canvas, and makes the unthinkable – always crouching inside me – come to pass before it actually does. Someone else’s fantastical world crystallizes the ills that I’ve witnessed but have not been able to fully name. Of her apocalyptic vision in The Handmaid’s Tale, a barren world where power is held by a few and the rest are mere midwives to a broken humanity, Margaret Atwood has famously said that she researched the novel by clipping out articles in newspapers: “there isn’t anything in the book not based on something that has already happened in history or in another country.” (Interview, Readers Companion to the Handmaid’s Tale). The future can always be found in the seeds of today. We future seekers, we prophets of humankind, simply show you the cut of the cloth we all take a hand in weaving. Tags: escapism, fantasy, fiction, fictional worlds, imagination, literature, sci-fi, science fiction, storytelling, writing. Bookmark the permalink.